Michael Florentino Cellars – November 5th – Drink till ya’ spend! I’ve heard the same tired remarks about Virginia wine since I first started exploring it a half-dozen years ago. Perhaps at one point in time, Virginia wine haters deserved the benefit of the doubt. Maybe they had a few crummy bottles or an unexciting trip to a winery that didn’t take the wine part of the operation all that seriously. Maybe they just didn’t know any better and, hey, the good stuff is really hard to find, right? Maybe. But, these days, when someone fires off a declarative “Virginia doesn’t make good wine” comment, they are providing you with an indicator of willful ignorance. There is so much good, even great, Virginia wine that the naysayers have no excuse anymore. I tasted three of Shaps’ wines during a virtual #VAWineChat tasting with Frank Morgan, Virginia wine guru and social media master. 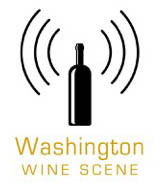 During the live stream earlier this month, I was joined by dozens of other folks who sampled the same wines and chatted with Shaps about his vino and the state of the Virginia wine industry. 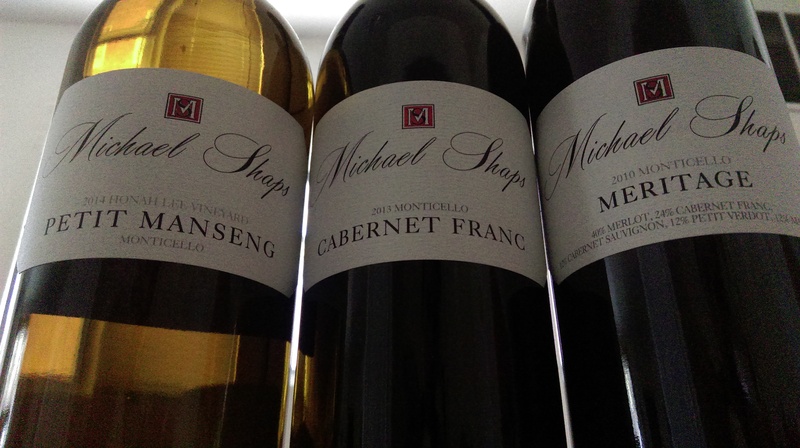 If you want to sip some of the best wine in Virginia, bottles from Michael Shaps should definitely be on that tasting table. Shaps studied winemaking in Beaune, and worked for Jefferson Vineyards and King Family, and has 20 years of experience crafting impressive Virginia wine. He makes wine for some 20 clients at a custom crush facility as well. Shaps’ 2012 Tannat and his 2012 desert Petit Manseng “Raisin d’Etre” were among the 2015 Virginia Governor’s Cup winners — and I found both of them to be great examples of what Virginia vino can achieve. Petit Manseng is a grape Michael gets excited about when he talks about it. He calls this grape “bulletproof in the vineyard” for its ability to handle the heat and humidity of Virginia’s winegrowing climate. “It’s an ideal grape for our climate and our situation, but the challenge is managing the acidity,” Shaps said. Petit Manseng grapes can have tart and bracing acidity, but if you let the grapes hang on the vine for a long time, they can reach higher levels of ripeness that can help balance out the zip from the acid. This adds richness in the form of alcohol content as well, and the 2014 clocked in at 14.6% alcohol. And while Virginia Petit Manseng can be rich and honeyed, it maintains such freshness and is frequently marked with interesting spice and floral components. It’s a wine that can accompany fresh seafood (like Shaps’ dry style) or the richest deserts and cheeses (when made into unctuous late-harvest wines). “It’s something unique that we do here that no one else can do, it’s been really turning some heads,” Shaps said during the tasting. I turned my head to Virginia Petit Manseng a few years ago, and things have only gotten better since then. Many producers who can get their hands on Petit Manseng allow it to hang on the vine for a long time. For his Raisin d’Etre wine, Shaps allows the grapes to ripen all the way to 28-30 brix. Then the grapes are harvested and brought into tobacco barns and dried, concentrating the sweetness even further. The result is one of the best and most unique sweet wines I’ve tasted out of Virginia. His dry version is Exhibit A in why Virginia Petit Manseng should be on your radar. We then tasted the new release Cabernet Franc, a grape that has gotten lots of attention as something of a signature red grape in the state. Generally I think it works best went blended together with some Merlot and/or Cabernet Sauvignon, but Shaps’ 100% varietal Cab Franc is something to seek out. Shaps admits the oak is a little intense (the juice sees 50% new French oak for 18-24 months). But Shaps says he wants to make an ageworthy wine, and he feels oak really helps the wine hold up in the long run. Many Meritage wines from Virginia frequently contain a lot (or even a majority) of Merlot. Merlot might not be easy in the sales aisle or the vineyard, but it does very well in Virginia. If people are still skeptical about seeing the word Merlot on a wine label, the grape does wonders when blended together with other Bordeaux varieties. And Shaps’ 2010 is a beauty. HEALDSBURG, CA: The Pinot Noir and Chardonnay vineyards in the Russian River Valley begin to turn color during Autumn near Healdsburg, California in view of an old barn. Warm sunny skies in Sonoma County Wine Country have set the stage for excellent grape growing conditions. Despite the drought, the 2015 grape harvest has generally been of very high quality.